A lot of fans of Benedict Cumberbatch fans once wished that he takes over the role of The Doctor when Matt Smith left BBC's longest running Science Fiction series, Doctor Who. But then again, the role went to Peter Capaldi who is the current resident of the TARDIS as the 12th Doctor. But it looks like Cumberbatch is already destined to play another Doctor, though this time is from the biggest film franchise of the decade because he is now being eyed for the role of Stephen Strange aka Doctor Strange. A lot of names came out before such as Tom Hardy (The Dark knight Rises), Jared Leto (Dallas Buyers Club), Keanu Reeves (The Matrix) and Joaquin Phoenix (Gladiator). Phoenix almost got the project but everything went south over the negotiations. 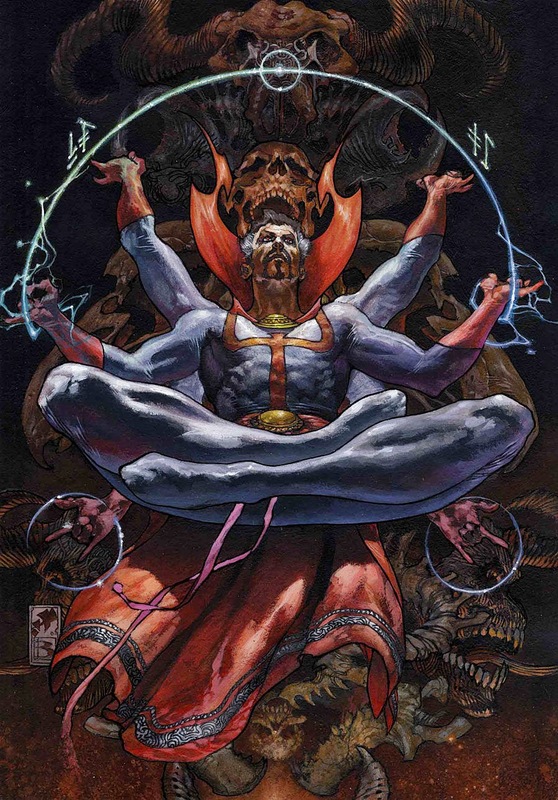 Now, Marvel wants the Sherlock star to fill in the role of the sorcerers supreme for the Marvel Cinematic Universe. Though according to Deadline, it is still under negotiations but many thinks it is already a done deal. Let's hope so because we know Benedict is one talented bloke and I'm very sure he can fit in the shoe of Doctor Strange. Filming starts Spring 2015 and has a partial release date of July 2016. To be distributed by Walt Disney Pictures.